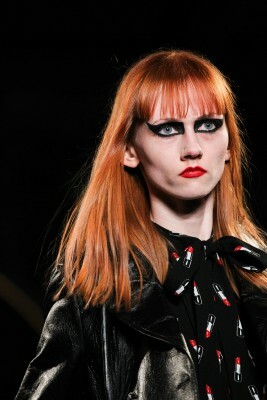 If you need a little inspiration for the new season, then it’s perfectly coinciding with the end of Paris Fashion Week. 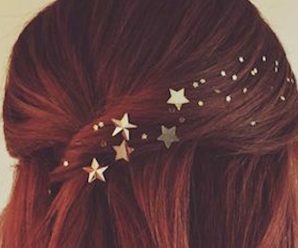 Whether you have an upcoming wedding, work event, or simply need to switch-up your standard hairstyle, then the following looks will surely work for you. Temporary coloured hair is the new black. Why? It can easily wash out (well, in a matter of 6-8 weeks), and is perfect for those who want a bit of a change. 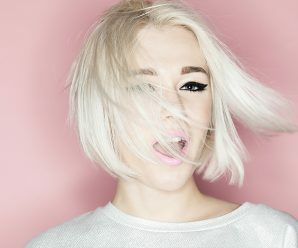 Baby pink works better on girls with blonde hair, whilst darker shades such as blue and green are better if you’re a brunette. Bangs, a front fringe, or whatever else you want to call it were on display at Hedi Slimane’s presentation for Saint Laurent. Choose a cut which ends just around your lashes, and curl inwards with a brush for a perfect look. 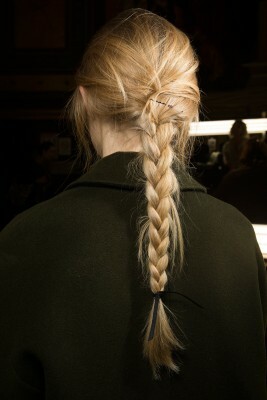 The humble braid returned at Lanvin this season, which is a low-maintenance way to wear your hair. Pin back any loose strands and tie the end with a simple black ribbon. Très chic! For a quick and easy hairstyle (which can hide your second-day hair), try the bun as seen at Isabel Marant. Apply some hair oil onto your palms and massage gently around your ends, then wrap and secure with an elastic. 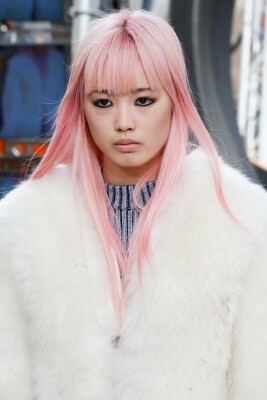 Not only did this show mark the long-awaited return of John Galliano, but also crimped hair. Models had the front layers of their hair crimped, but in a subtle way. 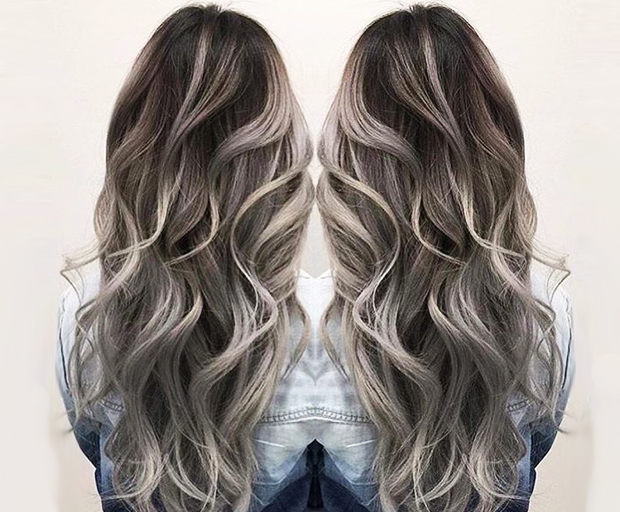 Combine with lots of dry shampoo for a truly voluminous look.